What Happened between Choi Jin-hyuk and Son Eun-seo? Let’s Find Out Here! Would you be surprised to know that this actor and actress have been in a relationship before? Or maybe, you were following the love-line news between them? Well, it’s been a while since the last time they announced that they broke up. But still, something that happened between those two was precious and worth your attention. The two of them starred in the same drama called My Daughter the Flower from 2011 to 2012. The drama had a long episode and they started to become closer since then. 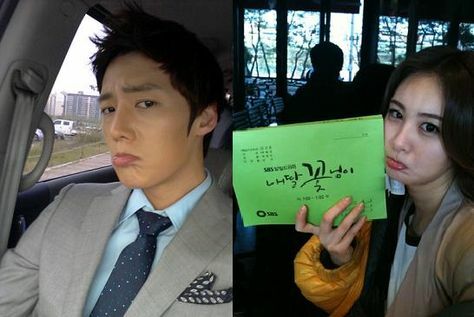 Although they became a couple while filming the drama, Choi Jin-hyuk’s character was meant to be with actress Jin Se-yeon’s character, the female lead. Meanwhile, the relationship between his character and Son Eun-seo’s character seemed to have bad blood between them. It must have been so awkward for them, but it also showed that both of them are true professionals. 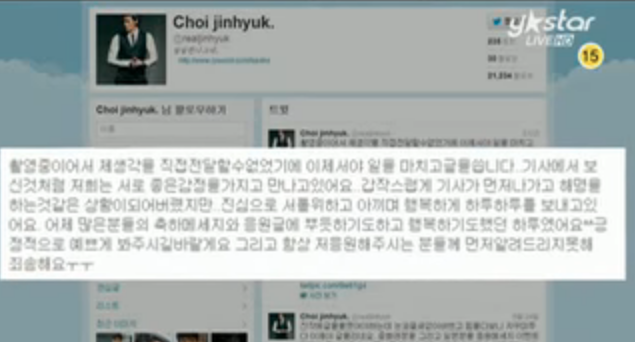 When the rumor that they were seeing each other began to spread, Choi Jin-hyuk confirmed it himself on his official Twitter account, and said he was happy about the relationship between them. Their agencies also gave official statements about the two, confirming that they were having a relationship after they got to know each other while filming the drama. Before the rumor about Choi Jin-hyuk and Son Eun-seo dating began spreading, there was a rumor about Son Eun-seo and Super Junior’s Lee Dong-hae. The two of them were starring in We Got Married with Super Junior’s Lee-teuk and actress Kang Sora as special guests, where the two of them became a couple. The funny thing is Son Eun-seo is not the only one that has a connection with Lee Dong-hae. Choi Jin-hyuk also knows the member of Super Junior, Lee Dong-hae, as both of them starred in a drama called Panda and the Hedgehog in 2012. The two of them were rivals in the drama and fell in love with the same girl, who portrayed by the actress Yoon Seung-ah. The situation is quite similar to real life, except the girl is Son Eun-seo. Unlike in the drama where Lee Dong-hae is the one who got the girl, Choi Jin-hyuk betrayed Lee Dong-hae by having a virtual date with Son Eun-seo, actually dating her in real-life. “I feel betrayed,” said Lee Dong-hae in an interview, jokingly. “But I think they look good together and I hope they could get married in the future.” said the Super Junior member. After being reported to be dating in 2012, when they met on the set for the drama My Daughter the Flower, the couple’s representatives announced that they separated due to their busy schedules. Since they couldn’t meet each other often, they decided to end their relationship, but stay friends. By that timetable, their relationship only lasted for about eight months, as they were reported to have broken up in January, 2013. It might be sad to see them separated, but we couldn’t say anything since it was for the best for them. Years after the break-up, the ex-lovers that hadn’t even been dating for a year got some good luck for their romantic life. Recently, Son Eun-seo had confirmed that she’s been dating actor Lee Joo-seung for around six months. They met on the set of the drama Voice in 2017. Just like what happened with her past lover, Son Eun-seo also started to get closer with Lee Joo-seung and both of them grew to have feelings for each other after that. While for Choi Jin-hyuk, his latest drama is The Last Empress, where he acted as the lover of actress Jang Na-ra. They both look so cute on screen, as well as off-screen. Many people are questioning their relationship and wish that they may actually be dating in real life, but there are no official statements from either side. Once again, we wish all the best for both Choi Jin-hyuk and Son Eun-seo! What’s Going on in Gong Hyo-jin’s Love Life? Let’s Find Out! Who is Boa’s boyfriend? Boa and Joo Won Are Dating Now!